Mary and her husband work on international projects and have worked in the Maldives helping the government with skills development. As early as the 9th century, pilgrims from all over Europe trekked to this city to pray at the tomb of the Apostle, St. James. How the remains of St. James came to be there is the stuff of legends which are difficult to verify but for the believers the truth is self evident and the pilgrimage from all over Europe was continuous. Some of the paths were appalling. Monasteries and rest points were built to help the pilgrims on the way and, at its height between the 10th and 11th century, about half a million pilgrims set off from their remote villages each year, for a blessing, as a vow, or secretly, for the adventure. By the end of the 11th century, this pilgrimage had become established as one of the most important destinations in the Catholic world spoken in the same breath as Rome, Jerusalem and Bethlehem. In the post-Reformation period, the pilgrimage waned as Protestant Europe had little regard for shrines and relics and the many caminos taken became increasingly dangerous in lawless Europe. Queen Elizabeth, a year after the defeat of the Armada, sent an army of 14,000 to Galicia to destroy Santiago as further punishment to the Spanish, but the siege failed. Others tried as well as destroying the relics would be seen as a great triumph for Protestantism. Finally, the locals hid the relics, said they were lost, and vengeance raids stopped. By 1878, interest in capturing poor old St. James bones had waned so they were disinterred from their hiding place behind the altar. Nobody could identify which of those bones specifically belonged to St. James until a revered relic, a piece of St. James skull worshipped in Pistoia, Tuscany was found and it fitted exactly one of the skulls. This moved Pope Leo XIII to issue a bull, "Omnipotens Deus", establishing that the bodies were that of St. James and his two disciples, Theodosius and Athanasius. Before it became a pilgrimage destination, Santiago de Compostela was a burial ground. The name Compostela came from the Latin word, Compostum meaning burial ground. Excavation underneath the Cathedral in Santiago reinforced this belief with the finding of a Roman cemetery and a pre-Roman Necropolis, a cemetery during the ancient times. The story of St. James picks up along the Sea of Galilee where Jesus found him with his brother, John, and their father, Zebedee, getting on with their fishing nets. Jesus called the two brothers to follow him and become fishers of men throwing their nets much wider. Records are a tad thin on the Apostle preaching in Spain but another legend placed him in the town of Caesar Augustus (today Zaragoza) where Mary, the Mother of Jesus, appeared to him beside the Ebro River in a pillar to which Jesus had been tied for a whipping. 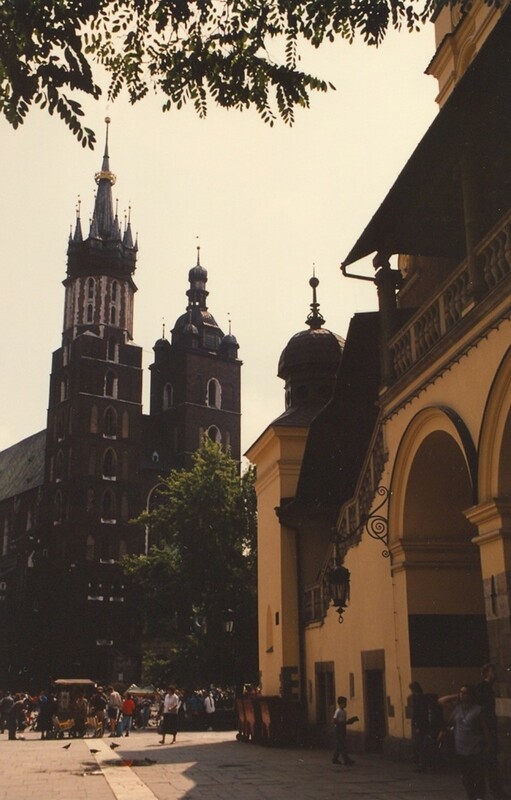 James, the legend continued, built a Church on the site (now the Basilica of Our Lady of the Pillar). It was after this that he went back to Jerusalem where he died. His disciples, ostensibly, brought his body back to Spain and here begins another legend of how the buried body was found. 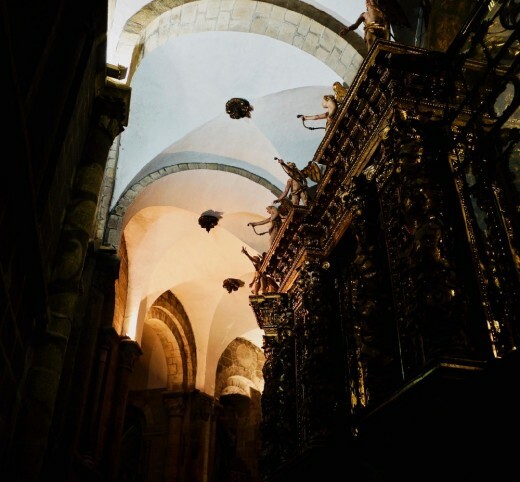 In 813, Pelayo, the hermit, or in some accounts, one of the shepherds, had a revelation from the angels on the location of the tomb of St. James. Through a cluster of stars, he was led there. He made this known to the Bishop and in that location, they indeed found a tomb with 3 bodies which the Bishop immediately declared as that of St. James and two of his disciples who brought his remains back. At around this time, mid-9th century, Spain was slowly being reconquered from the Moors and St. James' legend became the rallying image. It has even been said that he appeared several times in the thick of battle slaughtering the Moors. and was awarded the title, Santiago Matamoros, the Slayer of the Moors. Also, it was said that along the pilgrim routes, he appeared in the image of a soldier of Christ, astride a white horse with sword in his hand killing the Moors. It was a powerful image, then, and very useful to the Church and the world can always use strong images and visions of great people! 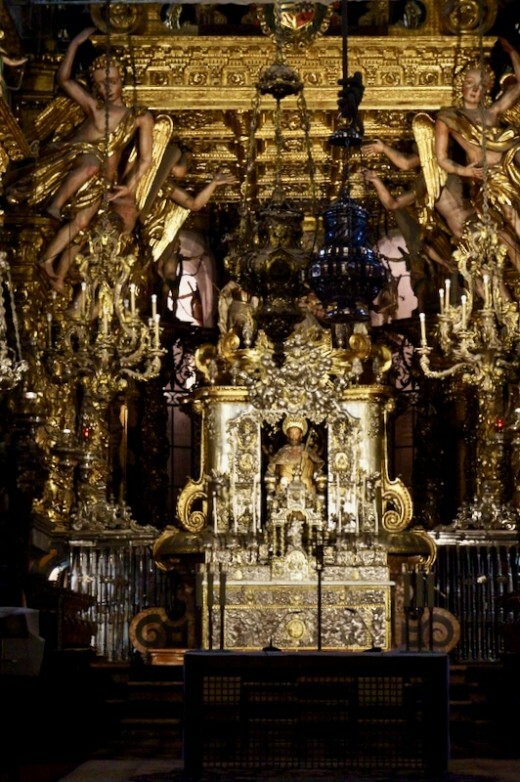 Although among the places of pilgrimages, Santiago de Compostela was only third in importance next to Jerusalem and Rome, it became prominent especially as a pilgrimage for many northern Europeans who wanted to atone for their sins and to pay forward some forgiveness. Travelling to Rome, and staying even for a few days was beyond the means of most northern villagers, so Santiago looked like a good option. 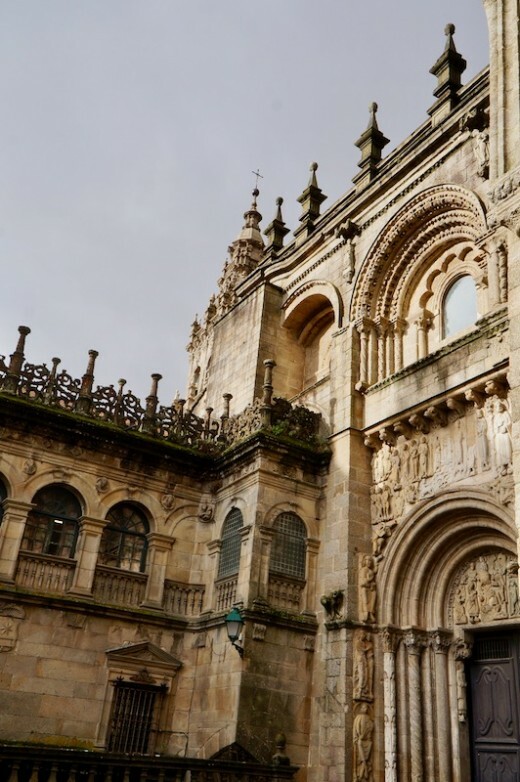 Income from these pilgrims buying indulgences or whatever plus the gifts from kings and the nobility and the rich swelled the coffers of Santiago de Compostela enabling the succession of Bishops to build some of the beautiful gothic buildings we see today. At that time when superstition was strong, relics played a major role in encouraging these pilgrims. Although it took them, at least two months to finish the pilgrimage, this did not discourage many who saw this as their way to heaven or for the young, an acceptable reason to get out of their village in the mud of Flanders. In 1456, the pilgrimage to Santiago de Compostela according to the book of Tim Heaton, The Long Road to Heaven: A Lent Course Based on the Film "The Way" would have earned you remission of a third of your sins; if you died on the route, total remission; and, for hearing Mass in the Cathedral, 200 days off purgatory. A certificate called, Compostelana, was issued upon completion of the pilgrimage. This is still a practice today but it may not have the same force as it did in the past. During the Middle Ages, villages along the way welcomed the pilgrims as this earned them indulgence as well. Eventually, monasteries, hospitals, hostels and eateries sprouted to provide protection and services to the many who took the pilgrimage. Over time, routes trudged became popular as success built on success and more people were drawn to this place not just by a devotion to St. James but for reasons such as trading, learning, health, or sports. Some of the Chaucerian revels must have been an annual summer spectacle, avoided no doubt by the devout. Today, information is available for each of the major routes for Europe including maps, hostel information, and details on the towns and villages along the paths. Companies are there to plan your routes for you and make all the arrangements. The routes are well marked so it is easy to do this on your own. 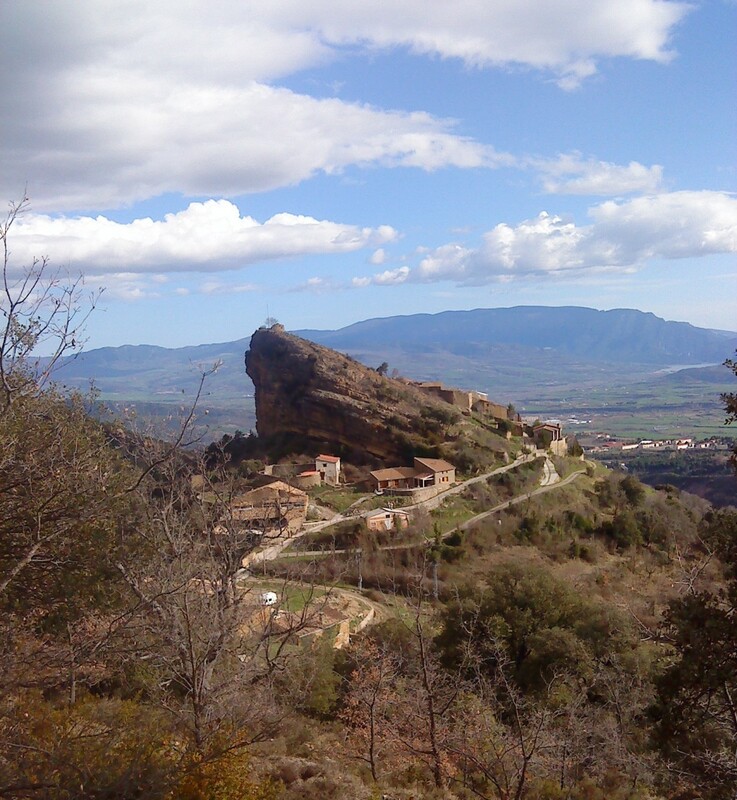 And, within Spain, you can hike on these trails through absolutely stunning countryside. The French Way, as it is called in English, is the most popular. It starts in St Jean Pied de Port on the French side of the Pyrenees and finishes in Santiago passing by the major cities of Pamplona, Burgos and Leon. About 780 kms., it usually takes people a month to walk and about 2 weeks to cycle. It is a stunner. 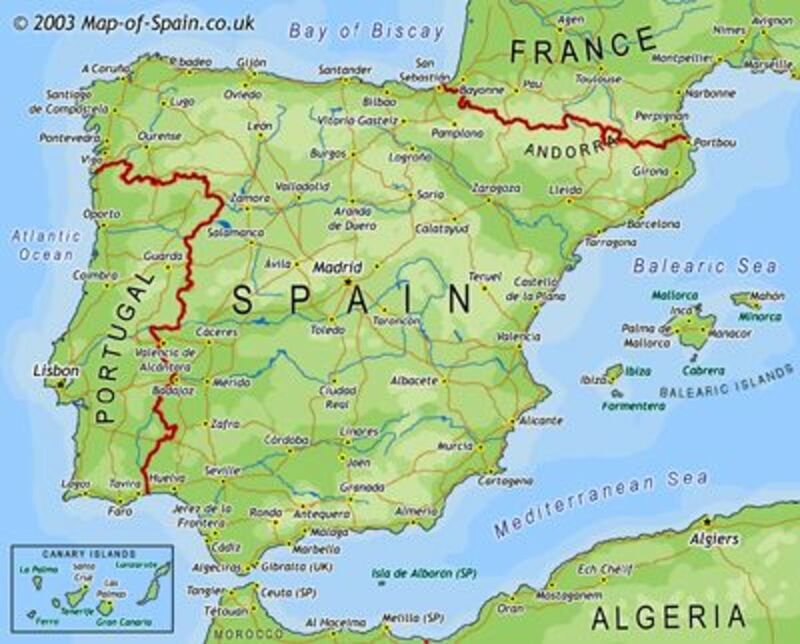 The longest formal route to Santiago, it has 1000 kms. to trudge for about 6 to 8 weeks. You will go through Sevilla, Badajoz, Caceres, Salamanca and Zamora, Orense, Pontevendra and La Coruna. Serious boots are needed, but what an adventure. This is the oldest route taken by pilgrims when most of Spain was still under the Moors so it followed the coast to avoid the bandits. It starts from the small town of Irun following the coast until Galicia where it joins the Camino Frances in Arzua. The distance is about 825 kms. Started in the 12th century, this was a popular route for pilgrims coming from England, Scotland, Ireland and the Nordic countries. 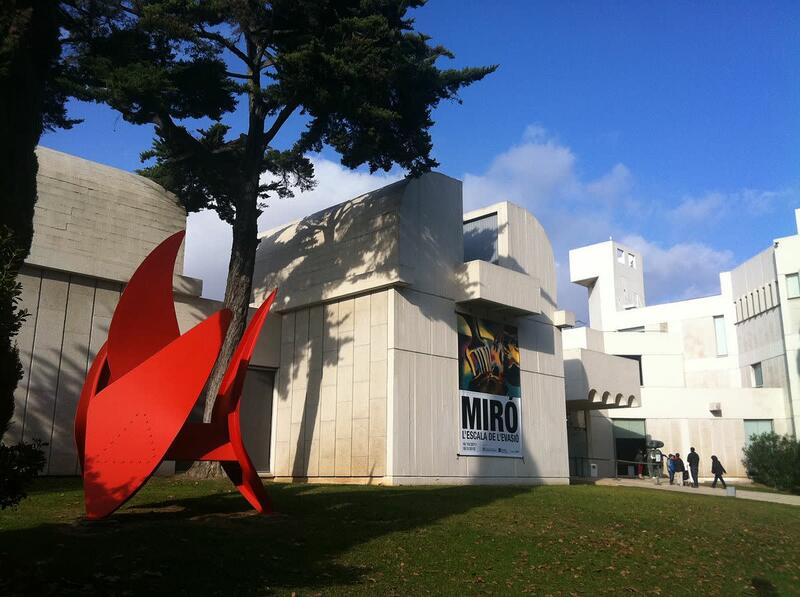 It is the shortest way starting from Ferrol or A Coruna after you have arrived by boat. If you want your Compostelana, you need 100 kms. of walking. Ferrol will give you 118 kms. while A Coruna, only 74 kms. You can easily walk this route in 3-5 days. Do not bring any footballs! The Spanish will thrash you and subtract miles. With roots in the middle ages, this route starts at Lisbon, Porto or Tui and will take you 612kms, 240kms or 119kms. Historic towns, cities and monuments displaying the wealth of Portugal and Spain in the Age of Conquest line the routes. It is also naturally beautiful. Having its origin from King Alfonso II of Asturias who walked this route to visit the tomb of St. James, it starts in Oviedo and crosses through Asturias including the villages of Las Regueras, Grado, Salas, Tineo, Pola de Allande and Grandas de Salime before it joins the Camino Frances in Melide. There are other routes, not just these 6 and depending on your flights, you can join any of these along the way. Many are well sign-posted. 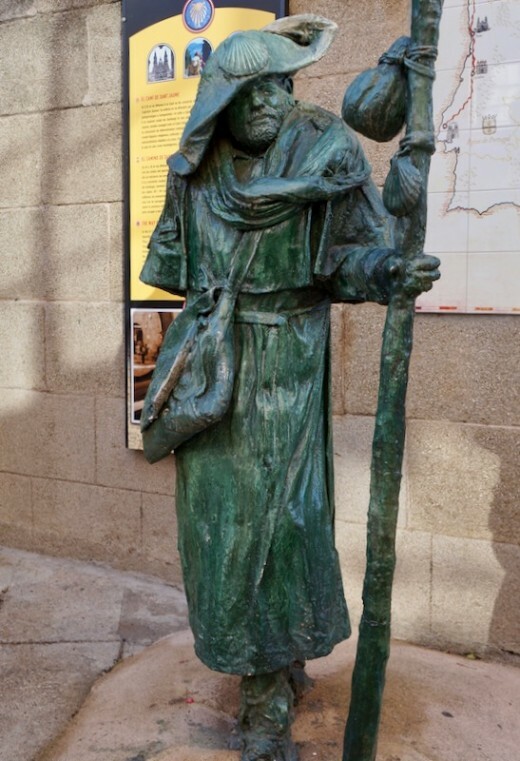 This is the official website of the Pilgrim Office of Santiago de Compostela where you can obtain information about the pilgrimage, statistics about the pilgrims who have arrived in Santiago and also the stamp of your completion of your pilgrimage. 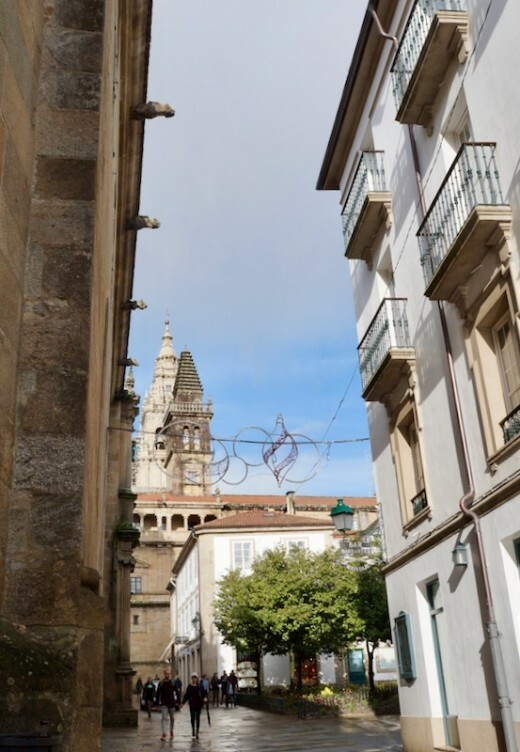 We drove to Santiago de Compostela from Porto and enjoyed the tiny villages on the way. It was easy to find parking right in the city, an easy walk to the old section. Here are some of the interesting highlights of this place that we enjoyed in our visit. 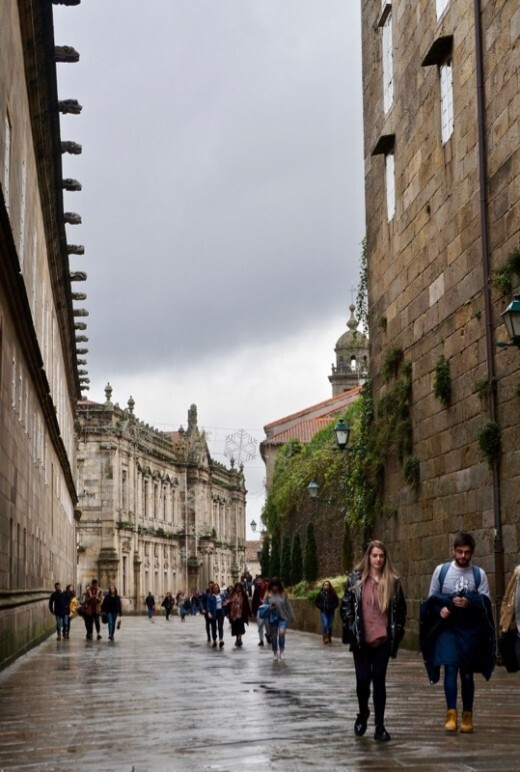 Santiago de Compostela has one of the most beautiful old town centres with its cobbled stones, winding alleyways, medieval squares with houses above the stores and restaurants some of which must have served pilgrims since the medieval times. Declared a UNESCO World Heritage site, walk around and soak up its history. When you get tired, try some tapas served outdoors and enjoy watching the pilgrims go by. A fully outfitted Dane or Swede with swinging hiking regalia is a site to behold and deserves full applause from the street drinkers. Try the pulpo a feira as the octopus is mainly associated with this region of Galicia. Octopus is boiled in a copper cauldron, sliced and seasoned with paprika and served with boiled potatoes. Easy on the potatoes. Pair this with wine from Galicia called Albarino, white wine with very little acidity and being in Santiago, heaven it is. Here in the Cathedral of Santiago de Compostela, the Pilgrims end up their journey and celebrate the Pilgrims Mass. Celebrated at noon, the names of the pilgrims who have completed the journey that day are read out. Watch out for the largest incense censer in the world weighing 53 kilograms, the Botafumeiro. Contrary to the legend, pilgrims socks are not burnt in this monster of a burner. Sit at the back if you are allergic to incense. There is a second Pilgrim Mass at around 19:30 p.m.
Construction of this Cathedral started in 1025 following the plan of one of the greatest Romanesque Churches at that time, the monastic Church of St. Sermin in Toulouse France. However, the structure we see today already had all kinds of additions and patch-ons including Gothic, Baroque and Neoclassical. 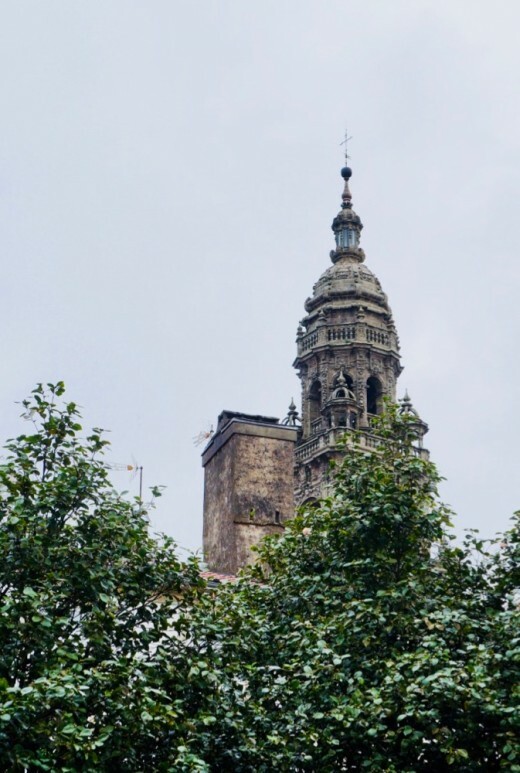 There is also the Cathedral Museum with four floors of Church history: the 16th century Gothic cloister, the old Cathedral Master Mateo's carved stone choir pieced back together in 1999, 18th century Chapter House, Library, an impressive collection of religious art, tapestries and textiles. For a small fee, you can go up the roof and have a good view of Santiago. Translated as "Square of the Workshop", this refers to the stonemasons' workshop set up here during the construction of the Cathedral. This is the main square of the old city of Santiago and the seat of power. You go through the Portico de Gloria to reach the Square. It is surrounded by four important buildings claimed to be the centers of power: the Cathedral (Church); the city hall of Santiago in Pazo de Raxoi (Government); the former College for the poor, Colexio de San Xerome (University) and the luxurious parador of Hostal dos Reis Catolicos (Bourgeoisie). At the end of the 15th century, after completing their pilgrimage to Santiago de Compostela, King Ferdinand and Queen Isabela, started to improve the infrastructure and services on the Camino. Right next to the Cathedral, they ordered the building of the hospice and hospital as a place for pilgrims to recover, 3 days in the summer and 5 days in winter. The hospital had a multicultural staff of doctors, nurses and priests working 24 hours to provide services free to pilgrims. 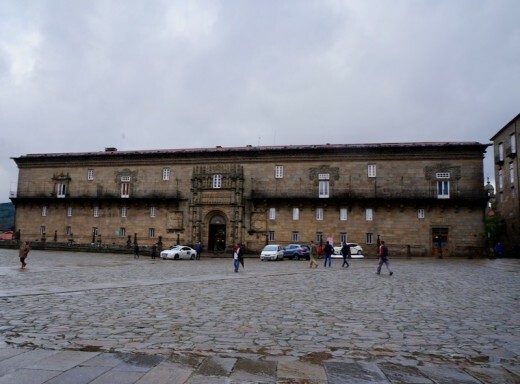 As other services became readily available for pilgrims, the government decided to convert this into a parador and, today, it is one of the most luxurious places to stay in Santiago with two courtyards going back to the 16th century and a hospital morgue converted to a restaurant serving the best seafood dishes Santiago de Compostela could offer. Used to be the centre for the workshops of silversmiths, this Plaza has at its center the Fuente de los Caballos (Fountain of the Horses). It has the Cathedral's single Romanesque facade, the Casa de Cabildo and also the Casa del Dean, an 18th century palace. 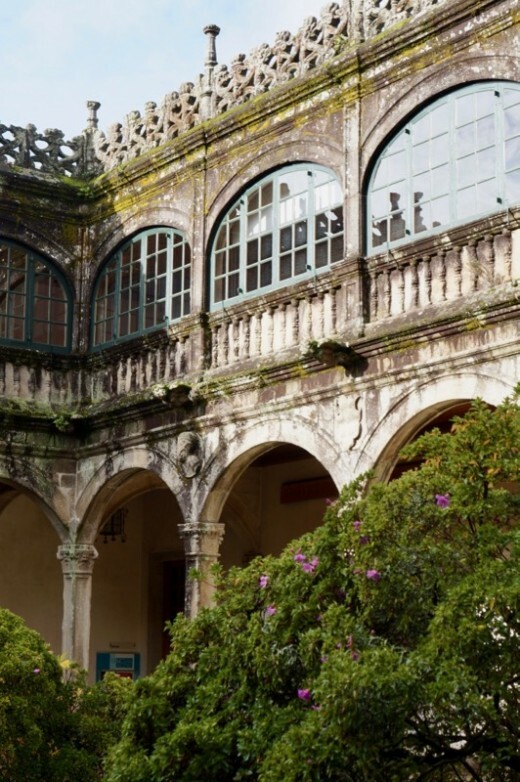 Built in the 16th century, this courtyard has the statue of the founder of the University, Archbishop Alfonso de Fonseca. Part of the old university, it is currently used as the University's Library. 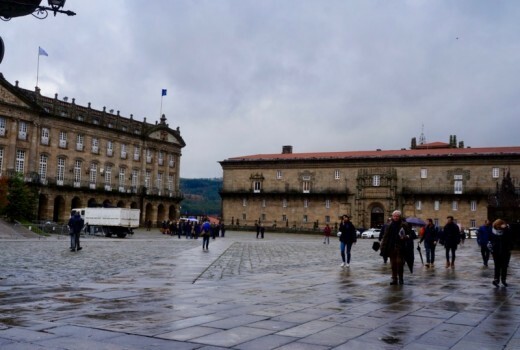 Would you be interested to visit Santiago de Compostela? Have you taken the Camino or The Way to Santiago de Compostela? This movement of people back and forth across Europe was not just for pilgrimages but gave opportunities especially for the poor to travel. It became an argument for travel which the "owners" or holders of the poor could only control by angering the Church. With the end of the crusades, new reasons were needed to just travel and see the world. This did not mean millions of people were moving but it suggests with the devout, village leaders and youth taking a chance, that the relative isolation of many communities is largely over-rated in history. There was a tremendous exchange of ideas, cultures and products, so looking at these events as simple pilgrimages of the devout is to sadly underestimate their impact over time on the linkages within Europe. This pilgrimage is talked about now for its religious undertones but people telling stories, simple people, young people with a sense of adventure wanting to get out and artisans sharing ideas and techniques, labourers walking on the route with kings and nobles. In fact, the spread of Romanesque art was partly attributed to this movement of people from northern France to do a pilgrimage in Santiago. This pilgrimage may have had a much more significant impact on life in Europe than we give it credit. The "Camino", or more completely the Camino de Santiago de Compostella is not just a story of legends and history. It is alive and well today. People plan summer visits around it. Hikers looking for new adventure in Europe seek it out. If it is history, then it is living history and those with a spirit can become Camino Adventurers still. I have friends who help ot in the Way as volunteers and the journey is very encouraging. We searched for books on the pilgrimage in the early days and it is fascinating. Do it when you're younger. This is a fascinating article. Around Easter I watched a TV series in thd UK following a group of minor celebrities tackling the Camino. I also know someone who spoke very highly of their visit to Santiago de Compostella. Thank you for the visit. Yes, it was the stars that led them to find the remains of St. James. I thoroughly enjoyed this article, Mary. 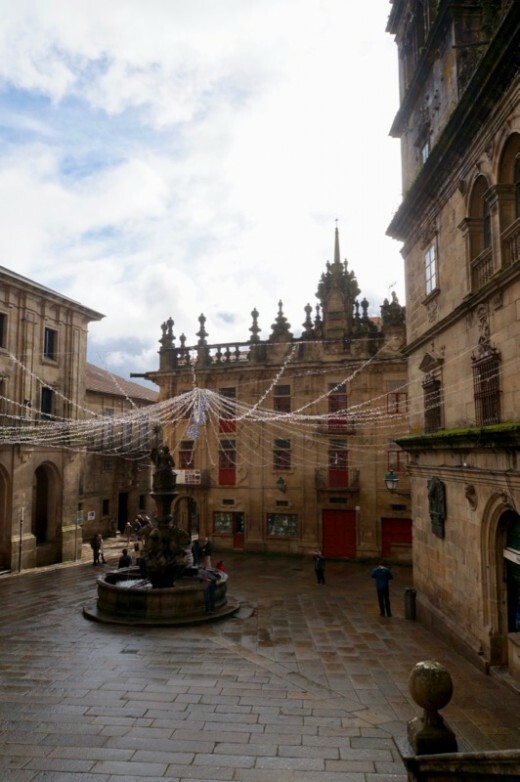 I’ve never made the pilgrimage to Santiago de Compostela, but it’s long intrigued me. There were many facts I did not know, especially regarding Queen Elizabeth, etc. One thing about the name- the word “stella” in Latin means “star”; is there some sort of connection with a star to this place? Thank you Flourish. It is very popular in Europe and among Catholics. What breathtaking beauty! Thank you for sharing information about places like this. I had never heard of these pilgrimages. It is amazing how one can visit all of Spain just following these routes. I have read several books about the pilgramage to Santiago de Campostela and hope someday to go there. Thank you for giving me one more glimpse of its beauty. Thank you Rachel. Just as you do with food. Hi Mary, I enjoy your hubs because I get to see the world through your eyes, pictures and descriptions. Keep them coming. I love all the old buildings and those statues too of the pilgrims, I would love to visit! My father was in the Cursillo so I know this greeting, "Onward" before I knew it was used by the Pilgrims here in Santiago. Thanks for the reminder. I have such fond memories of such places. Do you know the real meaning and origin of "Ultreya"? Thanks for the visit. I hope you do one day. Yes, it is a beautiful city. The pilgrimage is a big support. Fascinating places to visit! I have several friends who have hiked the Camino. Maybe one day I will get to go, too. Thanks for sharing your journey, Mary. The architectural beauty of those buildings is something to behold. Thanks for showing us your photos and describing this beautiful place of pilgrimage. Sally, that day was raining hard. It was good, it stopped when we got in so we got to walk. We will partake of that weather in the UK come Saturday. Will be there for 2 weeks, hope it gets better. Bill, it is one of the most beautiful medieval cities we have seen. I have omitted monasteries now opened as hotels and the university as the article is already getting long. A wonderful way to travel all over Spain. I think, the whole of the country is connected by these routes so it is easy to take it any point. Linda, many people travel through those routes. 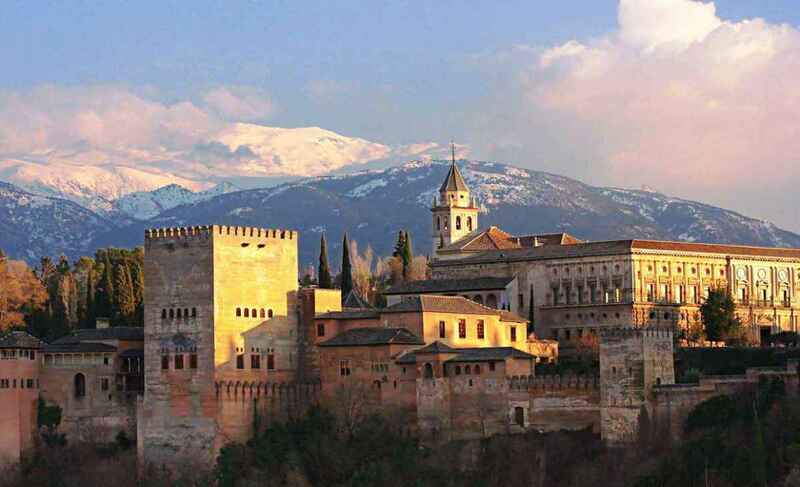 It's a wonderful way to visit Spain s you get to see the villages which you ordinarily would not visit. Then, the companions on the Way (there's a movie of this) are all interesting. Thank you. The city stunned us when we arrived. It's beautiful. Such interesting information on the apostle and the history of the sites. Great photography too. The architecture in the last two pictures are so appealing. Thank you. What a great idea for a walking holiday! The trips sound beautiful and educational as well. Thanks for creating an interesting and informative article, Mary. Hi Mary. Fascinating. Definitely something I would consider doing, at least a portion of it. It is certainly becoming more popular as evident by the numbers. Thanks for sharing this with us. I'm pleased to know that it is still popular even if not for its religious roots. It seems history is around every corner and for those who take the time to discover it, it's fascinating. I hope one day to travel there. Interesting photos. I am just blown away by the architecture and the history. Stunning! Love all those beautiful buildings and all the history. It looks as if the weather has not been too kind to you as it has not been to us in the UK of late.